Say Hello to the new 2020 Toyota Yaris Hatchback! Sometimes, buying a car seems like such a compromise. While it’s fine to pick and choose what’s important on your ride, because no car is truly perfect, you’re often left wishing you could just have it all. If you could have everything you want in a car, ample interior space, sporty engineering, head-turning exterior style, and a sensible price point, wouldn’t you want to get behind the wheel of a car like that? You don’t have to compromise on your next ride, the new Toyota Yaris Hatchback is coming to Toyota of Clermont and it combines everything you want in a vehicle. Hatchbacks are back and here to stay so check out these initial feature details here and come in for a test drive as soon as it arrives! Just like the global favorite, the Toyota Corolla, got a hatchback sister this year, it only seems fair that the new Toyota Yaris should have it’s share of the hatchback pie. From an initial look at the Yaris Hatchback, you’ll notice a cab-rearward hatchback design that extends the front end and gives off the look of a cute bulldog. 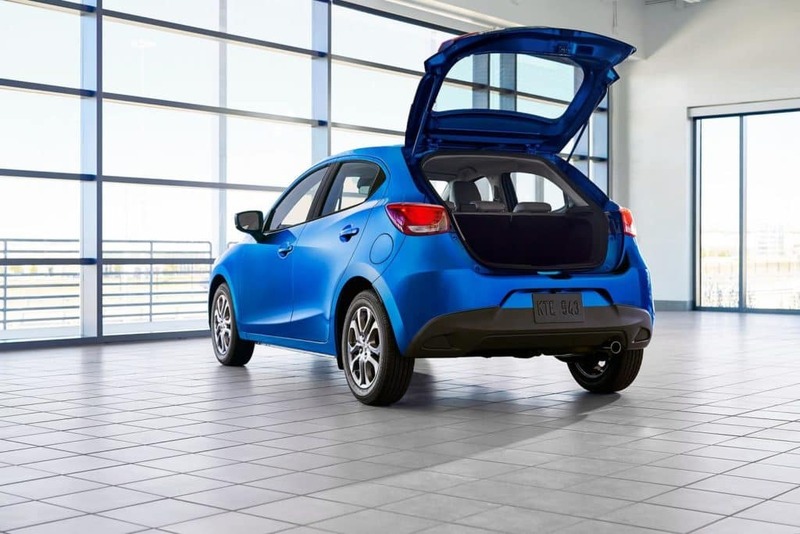 While it appears cute, this Clermont new Toyota Yaris Hatchback is all business when it comes to your budget and all play when it comes to design and what’s under the hood. It’s set to make its debut at the New York International Auto Show, but we have the first details to get you excited! The new Toyota Yaris Hatchback will be available in LE and XLE trim levels with paint colors like Stealth, Graphite, Pulse, Sapphire, Chromium, Frost, and Icicle. 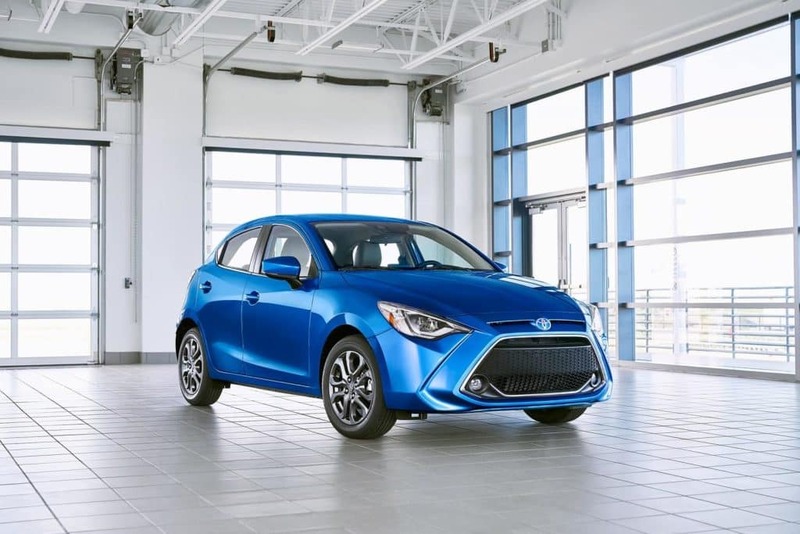 While transitioning to a Clermont Toyota hatchback, the wheelbase of this new model will be longer than its predecessor, the Toyota Yaris Liftback, and feature 15.9 cu. ft. of trunk space, nearly as large as a typical sedan. The hexagonal front grille from the Clermont Toyota Yaris Liftback will be retained for this hatchback model and will feature LED headlights and incorporated daytime running lights will be available on the XLE trim level. The new Toyota Yaris Liftback will include several premium standard features like 16-inch alloy wheels, Smart Key entry with Push Button Start, integrated fog lights, a first aid kit, illuminated vanity mirrors, and a chrome tailpipe. 7-inch touchscreen display with access to Features like Apple CarPlay, Android Auto, voice recognition, Bluetooth connectivity, and standard navigation capability. The Clermont Toyota XLE trim level includes premium upgrades like leatherette seats, automatic climate control, automatic LED headlights, rain-sensing windshield wipers, and a leather trimmed steering wheel and shift knob. Low-speed Pre-Collision system, Dynamic Stability Control, Traction Control System, Anti-Lock Brake System, Electronic Brake-force Distribution, Brake Assist, and Brake Override System plus six airbags. A 1.5-liter inline 4-cylinder engine that gets 106 horsepower. A Sport driving mode is also included. MacPherson Strut front and torsion-beam rear suspension. The new Toyota Yaris Hatchback will be available soon at Toyota of Clermont and it’s ready for you to come check it out. Visit us at 16851 State Road 50 seven days a week. 0 comment(s) so far on Say Hello to the new 2020 Toyota Yaris Hatchback!